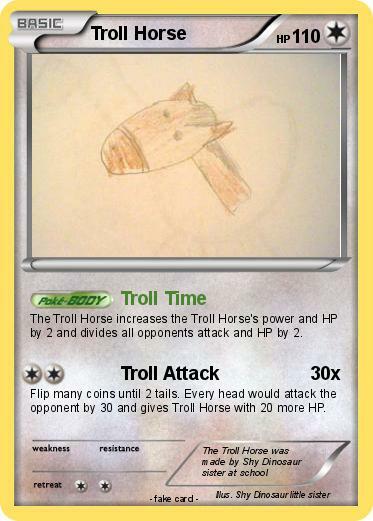 The Troll Horse increases the Troll Horse's power and HP by 2 and divides all opponents attack and HP by 2. Flip many coins until 2 tails. Every head would attack the opponent by 30 and gives Troll Horse with 20 more HP.